Top Dropshipping Automated Platform | Why Kumoten? Selling things online has never been so easy! With Kumoten Dropship, you can start selling even without any stock in hand. Most importantly, you only need to handle the marketing part. 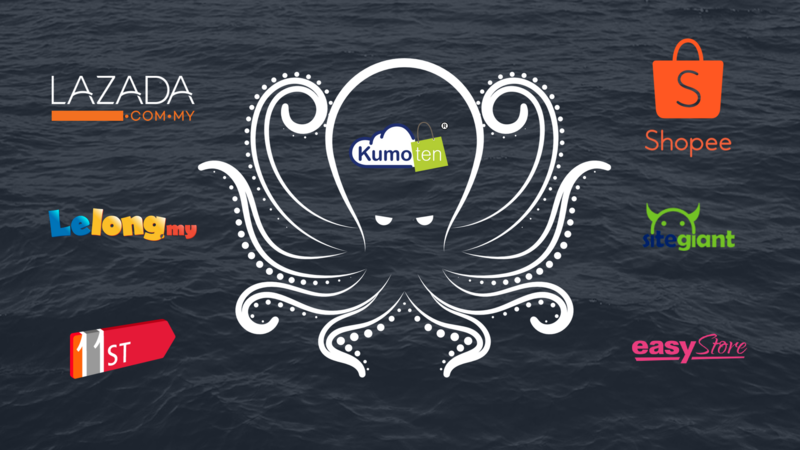 Kumoten believes being focused is key to success and we want all our merchants to be successful in selling online. Let Kumoten handle to product stock keeping, pack and delivery and you focus on selling and marketing your site to millions of online shoppers. More than just access to products, you will have all the necessary product descriptions, good quality photos, and features and benefits. We have got these ready for you. You do not have to worry about what products to sell, where to get the products and the minimum order quantity from the manufacturer. Kumoten is constantly searching for more products to be added into our growing list of categories and products. All Kumoten merchants have full access to these products and you may pick and choose whichever items you want to sell. You can choose all if you like! You may manually select and copy each item to be added into your ecommerce site/blog/social media or you can integrate with our system via API. Let the system automatically add and update the products for you while you do what you do best – SELLING. No need to keep stock. No minimum Order. Buy at wholesale price. Yes you read it right. There is no minimum order quantity although you pay distributor price for each item. We will deliver the item straight to your customer even if it is only one item. And yes, you are buying at distributor price. Busy with meetings and your online customer wants the item shipped to him urgently? No worries. Just login and tell us what and where to deliver. We will take care of the packing and delivery immediately. By the time you realize certain item is a killer product and that someone is laughing to the bank, you are most probably too late to sell it and make good profit out of it. You will need firsthand information from the manufacturers and suppliers on which products will gain momentum soon. All the products listed in Kumoten are already in local market. If you see it on Kumoten it means they can be sold immediately and the items can delivered to your customers within 24 hours. Kumoten will constantly bring in the fast moving products and in some cases we provide “soon to be hot” products ahead of your competitors. Had a bad experience buying from overseas suppliers? This is common if you bought from an unknown source. There are no surprises when you use Kumoten services. All items shipped are as according to the product description. In most cases, the overseas supplier would have a product return policy, but you have to bear the cost of shipping back to the country of origin, which makes no economical sense. In Kumoten, product warranties are covered by local manufacturers and suppliers. In the rare occasion of product defect, we are just nearby. Assuming you are sourcing from an overseas supplier, unless you ship in huge bulk, the cost of shipping from the country of origin to you will increase your selling cost. You can reduce this cost by choosing normal mail instead of courier service. Normal air mail from China typically takes at least 7 days to process and 15-30 days to ship. Alternatively, you can save the import shipping cost by using Kumoten dropshipping service. We deal direct with manufacturers in huge quantities and help you save time and cost. Thus we also give you the competitive pricing advantage. Speed is everything in online business. By the click of buttons, the items will arrive at your customer’s place as fast as within 24 hours.